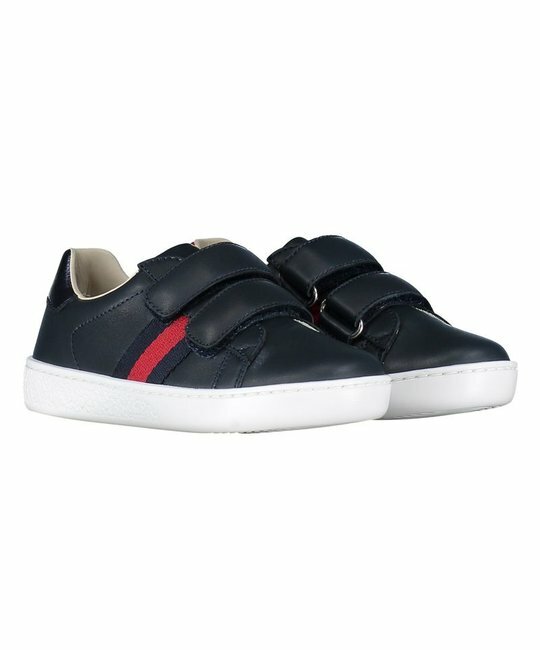 Gucci navy low cut leather ‘New Ace’ sneaker with blue and red web detailing and velcro strap closure. 100% Leather. Made in Italy.